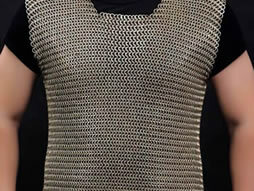 Chainmail armor, believed to be invented by Celts, is a kind of body protector. 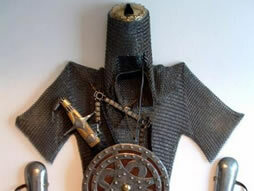 Generally, it can be divided into five components: chainmail coif, chainmail collar, chainmail shirt, chainmail gloves and chainmail chausses. Made of high tensile wire, chainmail armor is highly effective at stopping slashes, stabbing as well as most arrows. Combined with padded underneath, it will additionally reduce blunt force damage as well. What's more, because chainmail armor is made of individual links, it is relatively easy to repair, only having to replace the broken links. 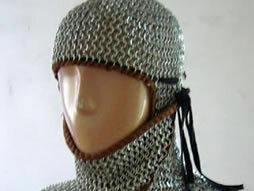 In ancient times, chainmail armor is mainly used for medieval knights and soldiers. While presently, in addition to the protective function, chainmail is also widely used in medieval festivals and costume performances. How to choose chainmail armor? If you want relatively cheap chainmail armor and use it for costume display, aluminum chainmail is the best choice. Aluminum features smooth and shiny surface. At the same time, anodized aluminum comes with many brilliant colors which can satisfy performance requirements. If you want strengthen and affordable armor, the steel chainmail armor is your best choice. Mild steel chainmail armor is strong but has problem of rusting if not properly cared for. So it is not suitable for long time using. Stainless steel chainmail armor features strong, shiny and reasonably cheap. While, it is 3 times heavier than aluminum. So stainless steel chainmail armor is a good choice as functional armor. 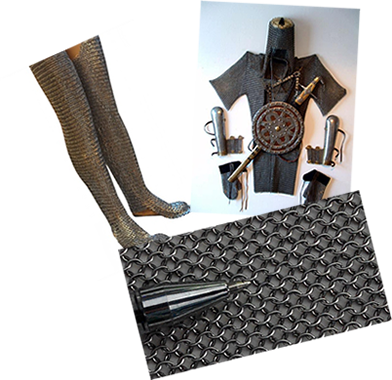 Galvanized steel chainmail armor features rust resistance is the most common choice. Chainmail armor made of brass, copper or bronze is rather strong and expensive. However, they are all features corrosion resistance, so they are good choices for functional armor. At the same time, chainmail armor come with the feel of medieval renaissance, so they are also good choices for costume armor. Chainmail armor made of titanium is very strong and wonderful. At the same time, you can according to your specific conditions to choose the armor with different colors. But titanium chainmail armor is rather expensive. So if you want to buy it, you should have more budgets. 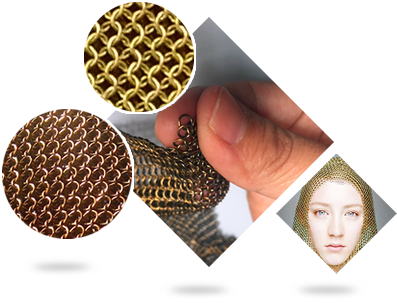 If you are interested in our chainmail armor, please provide information about: chainmail armor's raw material, wire diameter, ring diameter, linking methods, surface treatment, size and quantity. 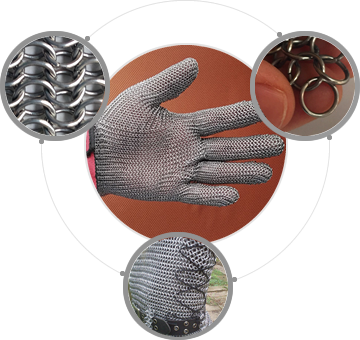 In addition, if you want to know more information about our chainmail armor products and services, please browse our website and mail at sales@chainmail-armor.com. Chainmail armor, in butted link style and riveted link style, can be used for protective function and costume performance. 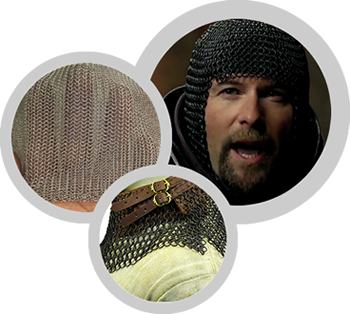 Chainmail coif, made of stainless steel, carbon steel, aluminum, brass or copper can be used for head protection or costume performance. 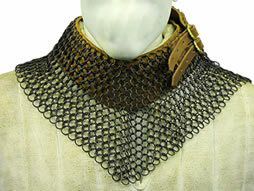 Chainmail collar, also called bishop's mantle, with adjustable leather straps and brass buckles can be adjusted to fit for your neck size. Chainmail shirt, paired with other chainmail armor, features impressive and comfortable, authentic and strong, which can offer great protection.